Charles Bronson | Don't read this blog….if you hate the sound of laughter. It was 18 years ago today that my Dad passed away. He was on my mind all day and this evening. Perhaps that is why I could not sleep and now find my self pounding away at my keyboard (it sounds better than clicking away on my laptop doesn’t it). In memory of him I am republishing a post from my old site that I wrote for fathers day last year. I hope you enjoy it. I was really alone for the first time in my life. I was living in Maryland while doing a student coop for the Bureau of Census. Eighteen hundred miles from my family and a girlfriend and renting a room from a total stranger. I found myself channel surfing one evening and stumbled upon an old Charles Bronson movie from his early days. When he appeared on screen I was taken aback by how much he resembled my father when he was young. It must have been a Charles Bronson marathon because later on I caught a more recent movie of his and damn if he did not mirror my father in later life also. I missed him than as much as I do now. Thinking about him now I realize that much like Charles Bronson’s characters my dad was an old school man. The archetype of the strong silent hero. He was not a man of words but of action. Of course his actions were a little more sedate then vigilante justice , well except for the time he popped out of the family station wagon with his shotgun to confront some neighborhood vandals , but just as important none the less. I can probably count on both hands the number of times I remember that he told me he loved me. The number of times he showed me however would take a super computer to calculate. The only regret I have involves something I told him when he was helping me move to DC after college. I thought I was grown up enough not to be called Danny anymore and I kindly asked him to call me Dan or Daniel. I wish I would have kept my mouth shut. I would let him call me anything he wants to just to have him back. I have gradually tried let the guilt go as time has gone by, besides that doesn’t seem the kind of thing that Charles Bronson would have let bother him and my dad continued to show me how to live , how to love and how to battle through life. I am still a little repentant these days and actually like it when people call me Danny. I would like to continue writing this but well there seems to be something in my eye. Instead I will raise a glass of Scotch. To Casey and Charles Bronson. Posted in Uncategorized and tagged Charles Bronson, Dad, DC, Maryland, Scotch, Station wagon. Bookmark the permalink. 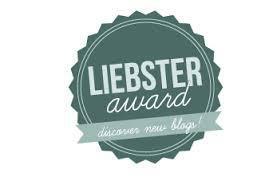 Many thanks to Maria (http://acceleratedstall.com) for nominating me for the Liebster Award I am humbled. I can wiggle my ears one at a time. Like 8 out of every 10 persons I can curl my tongue. I have no other magic physical qualities I would like to share with the general public. I don’t look my age and I do not have a hideous portrait of myself in my attic. I was asked by my professor in a sophomore composition class If I ever thought about being a writer. I thought about it and decided I needed to wait until I had lived a little. Ten years ago I decided I had lived enough to give it a shot. I began writing as an outlet for my sense of humor and that has driven my writing ever since. Someone once seriously offered to set me up with Lorena Bobbit (post bobbing). I politely declined. People I have shared this with, all of them men, have expressed the thought that I should have agreed so I could have had an “interesting” tale to tell. I expressed the thought that anything more interesting would have been more of an experience than anyone one man should have in one lifetime. I am a proud geek, as a kid I once read an entire set of encyclopedias front to back. In school I balanced both sports and science. In my 9th grade year my entry in the football program listed science as one of my interests. Opposing players were terrified…..of science. My father bore an uncanny resemblance to Charles Bronson, I was a well behaved child. My father passed before Mr. Bronson, I cried for both departures. My day is complete if I have made one person laugh. 2)Sleep with insects in your bed (ie, bedbugs) aware of their presence ALL night? 1) Hands down, How can you sleep knowing you are sharing your bed with bugs that will chew on you during the night? Besides you didn’t say I couldn’t doctor up the larvae with condiments, habenero peppers anyone? 2)Get 12 vaccines in 30 days? 1)I solve problems for a living so 1 would be fun and 2 not so much unless I can count acupuncture . I might be willing to give that a shot. 2. Indulge in an American binge drinking “ceremony” at Boston College? 1. )I have never been to Japan let alone take part in a Tea Ceremony. Besides I went to college , not Boston , but at some point during college drinking binges you can convince yourself you’re anywhere. 2.Be a camera/lighting assistant in a domestic-cat documentary (think day in the life)? 1) I am a dog person so I could only do #2 If I was under the influence of a drinking binge I partook of in Boston. Besides, number one was only “near death” and again need I mention habenero peppers. 2. Stand humbled by the vast openness of the Sahara Desert? 1)I live in Colorado so I really enjoy the feeling I get around tall constructs of nature. Besides, I am fair skinned and there is no indication of SPF 45 in number 2. 2. Travel in a country experiencing rapid change and instability? 2) For me #1 is more predictable. I can predict that I could not abide by forced silence and after a violation the state would insure my safety in my new 8×8 windowless room. I will take my chances with instability, the odds are better. 1 ) How do you eat an Oreo Cookie? 2) Your down in the dumps , what is your go to song/band/artist for elevation? 3) What motivated you to blog? 4) Your alone and in a good mood. Do you , whistle, hum or sing? Any particular tune? 5) Of any skill you currently do not have , what one would you like pick up and cultivate? 6) Where do you ponder life, liberty and your navel ? : 1) At the ocean , 2) In the mountains, 3) Down by the river, or 4) A field with no natural features. Posted in Uncategorized and tagged Boston College, Charles Bronson, Himalayas, Liebster Award, Lorena Bobbit, Sahara. Bookmark the permalink.